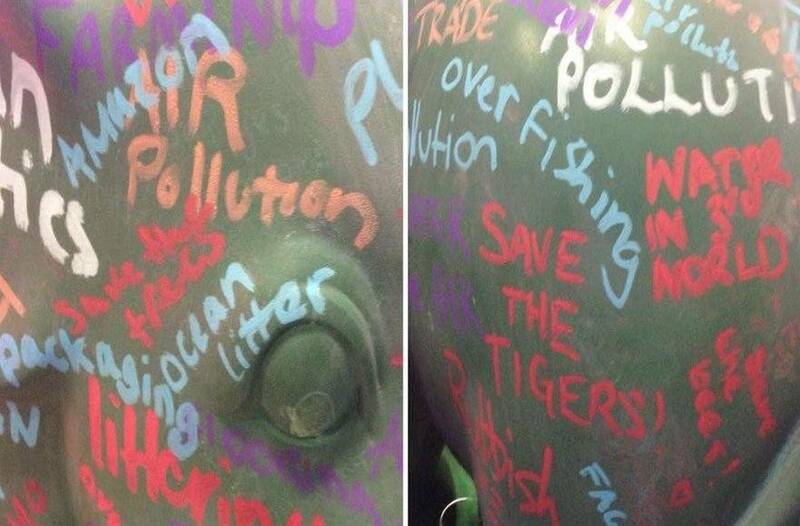 At the Freshers' Fairs, NTU students wrote their current worries on Nelly the Elephant. It seems that there are many Eco-Concerns amongst NTU students! 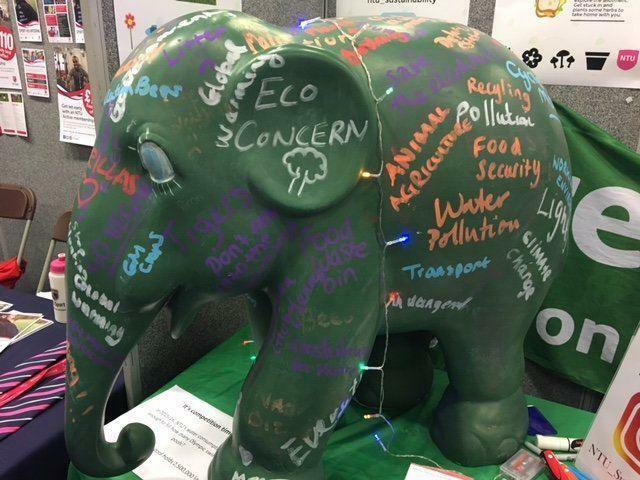 During Welcome Week 2017, the Environment Team asked you: ‘What is your eco-concern?’ ‘What is your current worry about the environment?’ Your answers were varied and inspiring. There are lots of you worried about plastics and their impact on the ocean. With 8 million tonnes of plastic put into the ocean each year (the total amount of plastic produced in 1961) plastics in the ocean is a huge global issue. For more information about ocean plastic visit the Plastic Oceans UK website, you will find resources, information, films and ways to get involved. As an institution, we will be looking at ways that we can help tackle the problem too. Other concerns that you raised included deforestation, animal welfare, pollution and global warming. Here at Trent we ask all staff and students to take responsibility and take part in a sustainable lifestyle. If you have a topic close to your heart and want to see NTU get involved to improve the issue let us know. During Welcome Week we invited you to have a look around our outdoor space. We ran events on the Boots library roof in the City and at the Clifton Foodshare garden we ran events. Going forward, once a month you can sign up via NTU Sports to take part in outdoor Yoga and Tia Chi, you can sign up for the one off session or book your place as part of your NTU gym membership. There are activities taking place throughout the year that you can become involved with, keep a look out in the ‘what’s on’ emails, on the NTU Sustainability events page and on our Twitter @NTUEnvironment, Facebook @NTUSustainability and Instagram @ntu_sustainability.